Black Rhino – did you know? Fairy circles by ©Amy Schoeman. The bare circles in the grassy plains on the eastern fringe of the Namib have been a mystery for decades. Now it is clear what causes them: The ‘fairy circles’ are created by termites as part of a water storage system. It is a sophisticated concept which can also teach man a thing or two about sustainable farming in areas where precipitation is low. These are the findings of a long-term study conducted by German biologist Professor Norbert Jürgens. They were published in the latest edition of Science magazine. According to the study the ‘sand termite’ Psammotermes allocerus clears the sandy soil of annual grasses so that rain water seeping into the ground is stored instead of being used by the grass. In areas with an average annual rainfall of 100 mm the sandy soil underneath the bare circles always holds more than five percent of water by volume – even after years of draught. Professor Jürgens obtained his data by taking readings in fairy circles found on the grounds of Namib Desert Lodge south of Solitaire over the course of several years. 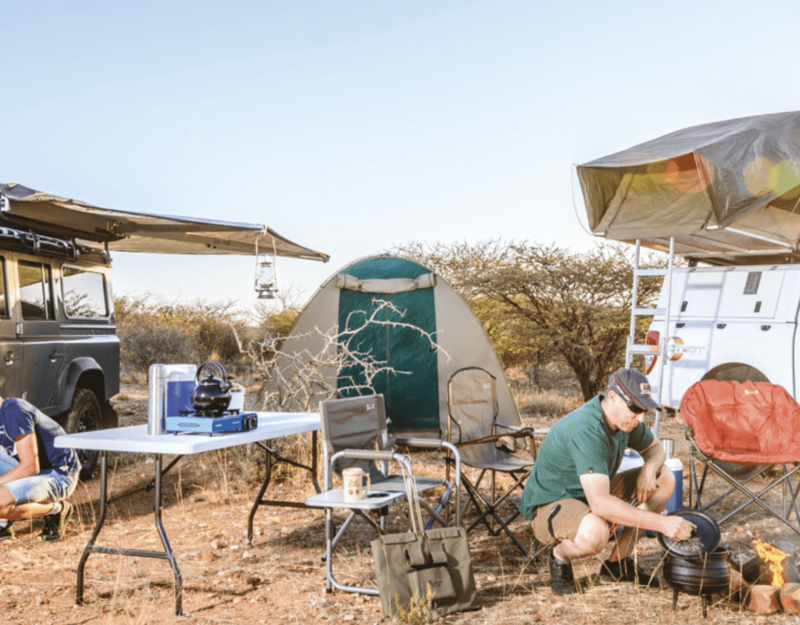 The lodge is part of the Gondwana Collection Namibia, which has supported the professor’s research projects for years. The water storage system keeps relative humidity at 98 percent in the tunnels of the termites’ nest. This is essential for the survival of the insects. The storage system furthermore allows perennial grasses to take root around the circles. These grasses in turn are a secure food source for the termites in years of drought when annual grasses no longer grow because of lack of rain. Psammotermes allocerus lives completely underground. Since it is active at night and early in the morning this termite is rather inconspicuous. This may explain why researchers did not solve the riddle of the fairy circles much earlier. Possible reasons that have been offered included theories of the ground being poisoned by Euphorbia and of natural gasses with the effect of herbicides. The circles even fuelled fantasies of little green creatures from outer space and dancing fairies from the realms of fairy tales.